Darryl Bressack focuses his practice on complex municipal litigation, commercial litigation, shareholder disputes, and individual and class actions. In 2018, Darryl was identified as a Top Lawyer in Metro Detroit by DBusiness magazine and designated a Super Lawyer by Michigan Super Lawyers magazine. Prior to the Super Lawyer designation, he had been repeatedly designated a Rising Star. The Super Lawyer and Rising Star designations are based on the recommendations and votes of other attorneys in the state. 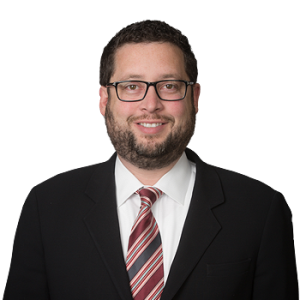 In 2011, he was honored by Michigan Lawyers Weekly as one of 20 Up and Coming Lawyers. 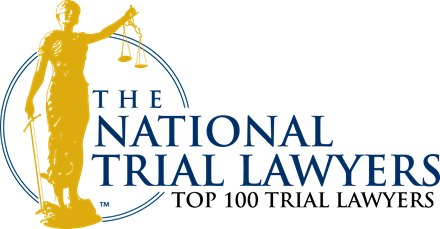 In 2012, he was designated one of “40 Under 40” outstanding young litigators in Michigan by the National Trial Lawyers Association. Darryl is admitted to practice in the State of Michigan and various federal courts including the Sixth Circuit Court of Appeals. He is a member of the Oakland County Bar Association, the Detroit Bar Association, and the Federal Bar Association. He has also practiced, on a pro hac vice basis, before numerous courts throughout the country. Darryl is a committee member of the State of Michigan Professional Ethics Committee, which is tasked with preparation of written opinions on professional ethical conduct at the request of the State Bar, Attorney Discipline Board, Attorney Grievance Commission, individual members of the State Bar, or on its own initiative. The Ethics Committee also has jurisdiction over recommending amendments to the Michigan Rules of Professional Conduct and other standards of professional conduct, and reviewing proposed amendments. Darryl is one of the two founding attorneys of Fink Bressack, leaving a law firm with David Fink in January 2011 to help establish the new firm. Darryl provides pro bono services in a variety of matters, including expungement of certain old criminal convictions. Obtaining an expungement helps people, who have demonstrated that they are reformed, to obtain gainful employment and contribute to society in ways that are near impossible with a criminal conviction on their public record. Before working in private practice, Darryl worked under a federal grant to represent victims of violence in various civil court matters, including personal protection orders, divorce and custody disputes. During law school, Darryl held an externship with the South African Human Rights Commission, a government entity charged with promoting and protecting constitutional human rights, including with respect to the country’s apartheid regime. Darryl interned for the Cambodian Defenders Project, one of Cambodia’s oldest humanitarian non-government organizations, which advocates for equality, freedom and human rights through legal representation of individuals or organizations whose rights have been infringed, through training of police officers and through significant advocacy relating to the atrocities, including gender based violence, carried out by the genocidal Khmer Rouge. The Cambodian Defenders Project has been honored with the International Human Rights Award of the American Bar Association. Darryl also interned for the Alaska Public Defender’s Agency where he represented criminal defendants in Fairbanks and the surrounding Fairbanks North Star Borough (which is slightly larger than the State of New Jersey). Darryl was a native of Pennsylvania, New York and Florida prior to moving to Michigan for law school. During law school, he fell in love with the State and decided to stay. When he is not working, he enjoys kayaking, boating, hiking, camping and snowboarding (poorly) with his daughter and taking advantage of Michigan’s natural bounty. Darryl earned a Bachelor of Arts degree from the University of Florida in 2001 and his juris doctor from the University of Michigan Law School in 2004. While in law school he was an associate editor of the Michigan Journal of International Law.